Sandy Gibbons, a popular Phoenix, Arizona actor and media personality for decades, died Saturday, December 29, 2018. He was 85. 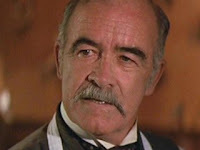 Born in Kansas City, Missouri on September 15, 1933 he was usually billed as Sanford Gibbons and was a successful actor, with 33 film and television credits including roles in “Tombstone,” “Tin Cup” and “Used Cars.” He never really stopped acting, playing a reporter in the 2018 film “Warning: No Trespassing.” As Sandy Gibbons he appeared as the horse dealer in the 1987 Terence Hill modern day Euro-western: “They Call Me Renegade”.